Julia's Fashion Minute: Five different pore strip reviewed. Five different pore strip reviewed. 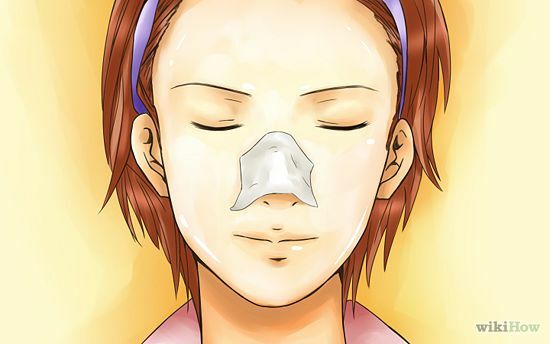 today I'm going to share my opinion about pore strips to remove blackheads. I have been doing some 'research' and testing for the past few months, more than five to be precise. And I think it's worth sharing. For the tests I tried five different pore strip brands. I also tried making my own pore strips but I failed. A few tips and tricks I found out while using pore strips are cotton soaked in baking soda and hot water or just hot water and placing it on your nose for 10 minutes before using a pore strip. I also found a very handy and good site, click here to read it. && now on to actually reviewing the pore strips. The NIVEA Face Care Refining Clear-Up Strips thoroughly remove blackheads and intensively cleanse the pores. First impression: Nice smell, feels good connected to the nose && takes away a lot of build up dirt. I don't really care for the T-zone strips. Cleaning: The first few times I used the strips I was very satisfied with the amounts of build up dirt removes from my nose. But after a while it just didn't do it anymore. These strips are great for beginners with a lot of build up dirt, not so great for people who regularly clean out there pores. Smell: Very fresh and natural. The Boots Tea tree witch hazel nose pore strips. First impression: Nice smell, reminds me of the Down to the pore strips. Works okay, not amazing and not bad. Cleaning: Does get a big part of the dirt but parts of the glue of the pore strip keeps sticking to the skin. First impression: Amazing smell, not great with build up dirt but better in removing dirt that's deeper in the pore. Cleaning: Impressed, cleaning very deep in the pores. The Life Care cleansing pore strips. These are actually the first pore strips I have ever tried, read the article here. First impression: Very strong smell of glue, works really well. Leaves some pore strip glue sticking to the skin. Smell: not that nice, it smells chemical. The Kruidvat cleansing pore strip. First impression: Just like every other pore strip. Cleaning: good, not super amazing just good. These are just 'quick' review points. I also decided not to post pictures of the strips because they're pretty similar. && I decided not to post pictures of the dirt it took out of my nose because that's just disgusting. My overall advice is just to try some pore strips and techniques out and find what's best for you. Every skin is different and reacts differently to different things. What are your favourite pore strips brand?